Chemical companies respect and prioritize their role in protecting their workers, transportation partners and communities across America. They make good on their commitment to safety through world-class industry programs that focus on preventing accidents and providing valuable resources to emergency responders. 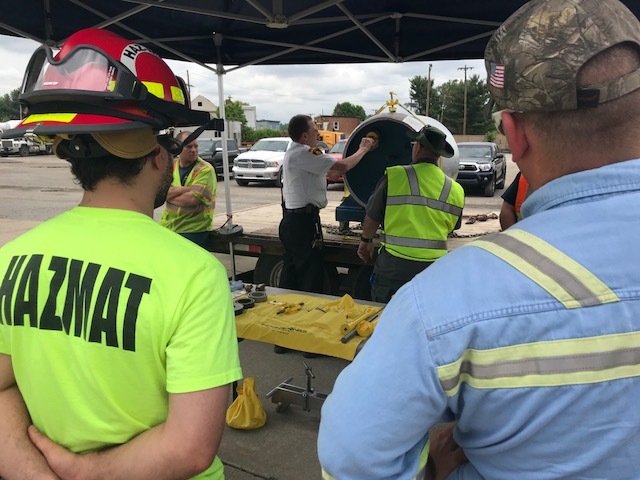 Wednesday, PCIC had the opportunity to see that commitment firsthand at the Transportation Community Awareness and Emergency Response (TRANSCAER) training that took place at the Wheeling and Lake Erie Rook Yard in Carnegie. 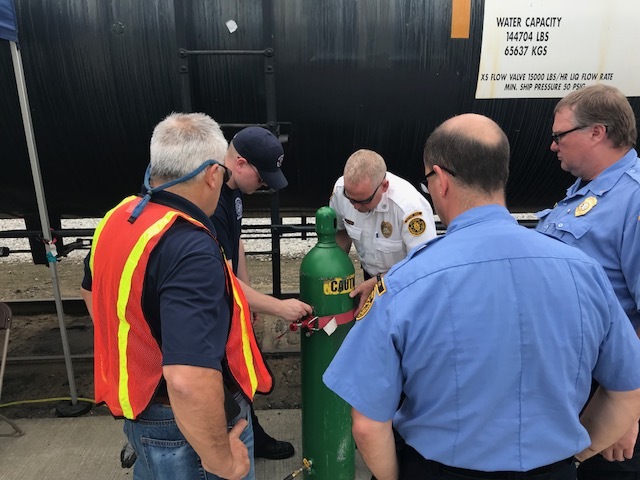 More than 50 first responders from the region attended the free, full-day training, which provided an overview of railroad safety and chemicals, and hands-on training on the various emergency response kits and leak-mitigation scenarios specific to transporting chlorine. More than 50 first responders participated in the free, full-day training in Carnegie. 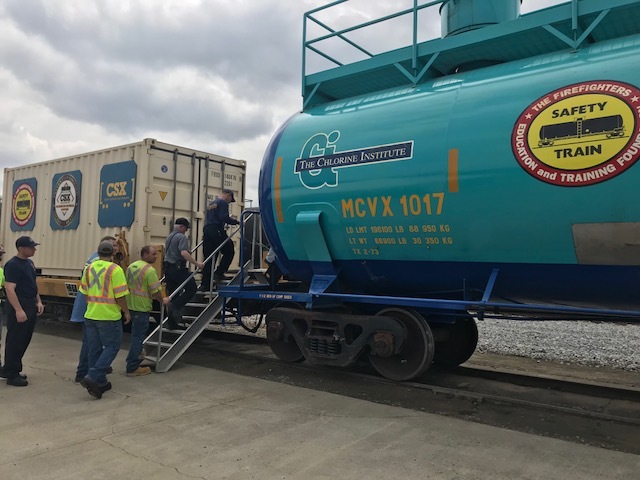 TRANSCAER is a partnership between the chemical industry and transportation providers, including railroads and trucking companies, that assists communities along hazardous materials transportation routes in preparing to respond effectively to an incident. Annually, more than 2,000 first responders nationwide participate in this program. 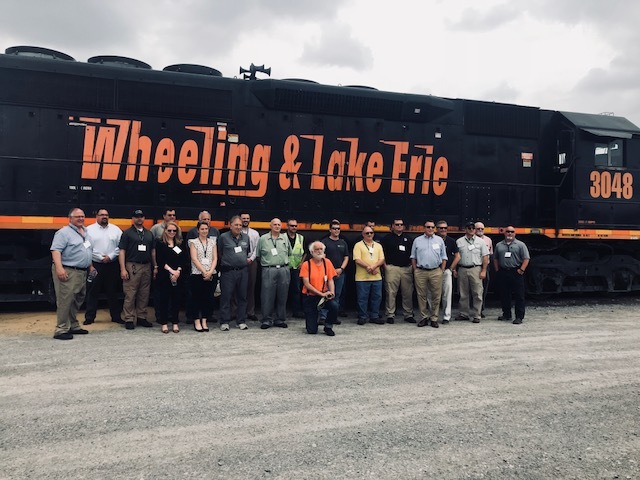 The National Chlorine Institute spearheaded this event in partnership with Wheeling and Lake Erie Rail, CSX, the American Chemistry Council and more. Local elected and other officials also attended a brief overview of the program to learn more about their role in the safety and mitigation processes, as well as the resources at their disposal. Local elected and other officials also attended a brief overview of the program. CHLOREP Emergency Response Assistance is one such resource that officials can use for their communities in the event of an incident. 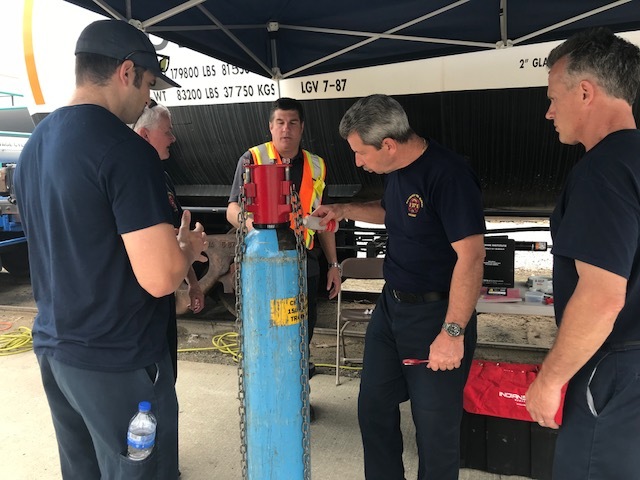 This mutual aid program provides a rapid and effective response to chlorine emergencies in the U.S. and Canada by ensuring that transportation service providers, end users, first responders, hazmat teams and others have ready access to accurate industry expertise and trained response teams. Through the Chlorine Institute’s collaboration with CHEMTREC® (the Chemical Transportation Emergency Center, operated by the American Chemistry Council) and CANUTEC (the Canadian Transport Emergency Centre, operated by Transport Canada), this service is available 24/7 and can be activated by calling CHEMTREC® toll-free at 1-800-424-9300. For the majority of PCIC members, logistics including the transportation of materials are a key part of operations, and safety measures are ingrained in the chemical industry’s day-to-day operations, tasks and company culture. ACC has developed a campaign, “Safety Moves Us,” specific to that aspect of operations with data on how industry is delivering on safety every day. Collaborations like TRANSCAER with industry leaders proactively educate, build relationships and provide resources that demonstrate the industry’s strong commitment to being a partner in the communities where it operates and its materials move. Natural gas development was sure to be a boon for Pennsylvania. The sustainability and growth of that boon depend on the continued responsible development of our energy resources and fair taxes and regulations set on the industry. The Marcellus Shale is the second-largest gas field in the world. According to an IHS Markit Study, in 2015, natural gas from the Marcellus and Utica Shale plays accounted for a quarter of all natural gas produced in the United States and is expected to account for more than 40 percent of the nation's natural gas production by 2030. The direct jobs are here and growing. On the generation side, the Energy Information Administration expects about 21 GW of natural gas-fired generators will come online in 2018, with 5.2 GW coming from Pennsylvania. What does this mean for the chemical and petrochemical industries? Although access to low-cost electricity is always a top priority for business and manufacturers, it’s the ethane and propane component of natural gas that compounds the value, will open doors for diverse investment and grow the industry supply chain here. These high-value natural gas liquids are used in basic petrochemical production and plastics manufacturing, and they are prevalent in the region’s natural gas. With 73 percent of the United States and Canada's polyethylene and 67 percent of the polypropylene demand falling within a 700-mile radius of southwestern Pennsylvania, the region is ripe for investment. This is exactly what Shell had the foresight to capitalize on in Beaver County. The IHS Markit forecast shows that, from 2026 to 2030, the expected ethane production from the Marcellus and Utica Shale plays will be enough to support up to four additional world-scale ethane steam crackers in the region, even after meeting the demand from the future Shell Pennsylvania Chemicals cracker. In other words, the best is yet to come. With Pennsylvania’s access to abundant natural gas, strong transportation network and skilled labor force, there is opportunity to attract a world-class supply chain centered on the petrochemical and plastics markets that could rival the Gulf Coast. To back that up, a recent IHS Markit study, “Benefit, Risks, and Estimated Project Cash Flows: Ethylene Project Located in the Shale Crescent USA versus the US Gulf Coast,” determined that a new facility in the Shale Crescent USA region (Pennsylvania, West Virginia, Ohio River Valley) would generate a four-times- higher net-present-value cash flow than a comparable investment in the Gulf Coast. The commonwealth has the opportunity to play the long game and leverage the responsible development of the state’s energy resources to attract diverse and global investment for long-term benefit, putting Pennsylvania in an enviable position. 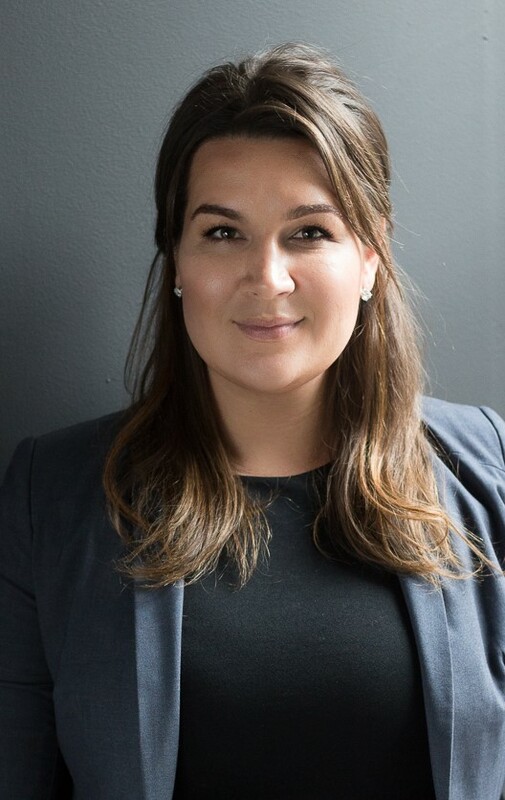 The Pennsylvania Chemical Industry Council (PCIC) has named public affairs veteran Abby Foster as its next president. Foster was confirmed April 20 by the PCIC executive board to replace Jeff Logan, who is retiring after three years at the helm. Foster brings more than a decade of experience working with trade groups and industries ranging from health care and energy to human services. She has forged relationships statewide with policymakers, media and industry organizations, and their leadership. 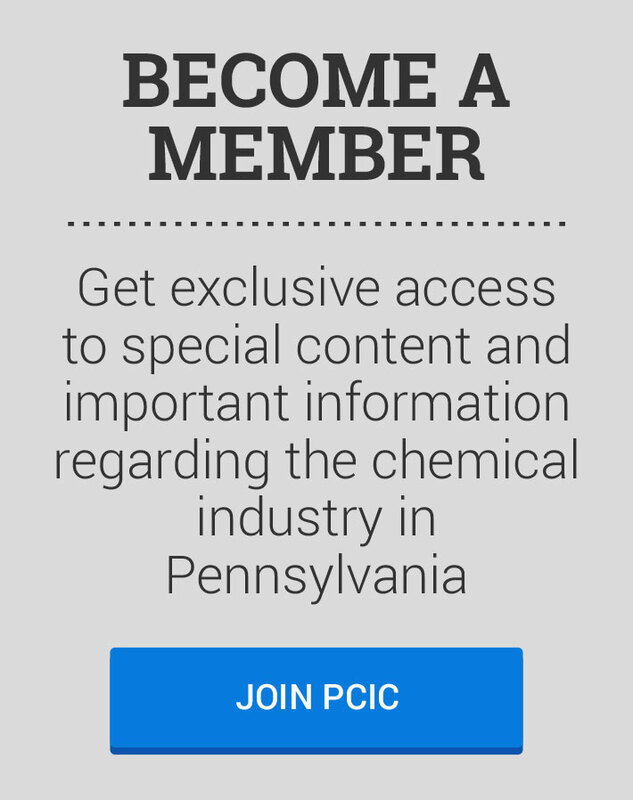 She said she is looking forward to the opportunity to leverage those relationships and her experience to reinforce and increase the value of PCIC in supporting Pennsylvania’s chemical industry. Pennsylvania's $24 billion chemical industry provides more than 40,000 direct jobs and another 38,000 related jobs, generating more than $410 million in state and local taxes and $933 million in federal taxes on an annual basis. Logan’s retirement is effective at the end of April, and he is assisting in the transition. In addition to PCIC’s legislative wins, Logan said he is proud of the strong relationships the council has developed with the American Chemistry Council and with neighboring states. By speaking at hearings on behalf of local pipeline projects, Logan has made strides to connect the chemical industry with projects that transport its raw materials.